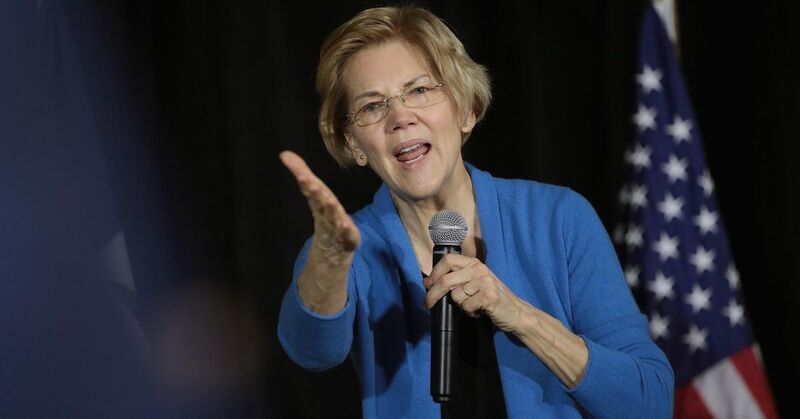 Senator Elizabeth Warren, who is in the running for the 2020 presidential race as a Democratic candidate, today outlined her proposal for "breaking up" tech giants like Amazon, Google, and Facebook in an effort to combat monopolistic behavior (via CNBC). Apple is not directly mentioned in Warren's post on Medium, but a representative from her campaign confirmed the plan would affect Apple. In essence, Warren wants to make "big, structural changes" to the technology sector in order to promote increased competition. The presidential candidate says that these companies have too much power "over our economy, our society, and our democracy," in the process hurting small businesses and stifling innovation. To combat this, Warren proposes a path to restoring competition to the tech sector in two major steps. The first is by passing legislation that requires large tech platforms to be designated as "Platform Utilities" and broken apart from any participant on that platform. This first step is what would directly affect Apple, as the App Store would become a Platform Utility, and any of Apple's first-party apps on it would not be allowed. So, the company would have to choose between running the App Store or building and selling its own apps, according to Warren spokeswoman Saloni Sharma. The same law would hit Amazon on its Marketplace and Google's ad exchange. Second, the Warren administration would appoint regulators committed to reversing anti-competitive tech mergers. These include "unwinding" mergers like Amazon/Whole Foods/Zappos, Facebook/WhatsApp/Instagram, and Google/Waze/Nest/DoubleClick. Warren argues that undoing these mergers would promote healthy competition in the market, putting pressure back on big tech companies that would make them more responsive to user concerns, particularly about privacy. "Facebook would face real pressure from Instagram and WhatsApp to improve the user experience and protect our privacy," says Warren. Warren is among a dozen Democrats who have announced their runs for the 2020 presidential bid over the past few months, also including senator Kamala Harris, congresswoman Tulsi Gabbard, entrepreneur Andrew Yang, governor Jay Inslee, and senator Bernie Sanders. Confirmed Republican candidates running next year include president Donald Trump and former Massachusetts governor Bill Weld. And, just like that, Warren's campaign is over. I hope she wins the nomination so it’s an easy win for Trump. Never had a chance anyway. Dang! How can the people break up big government? The Ds need to get their crap together because stuff like this is going to get us another four years of President Trump. Good, that's actually what we need. I was hoping we could go just a little longer before the next election cycle really began. Sigh . . . .
She misread the smoke signals. Big business or big government? At least consumers have a choice about one of them.